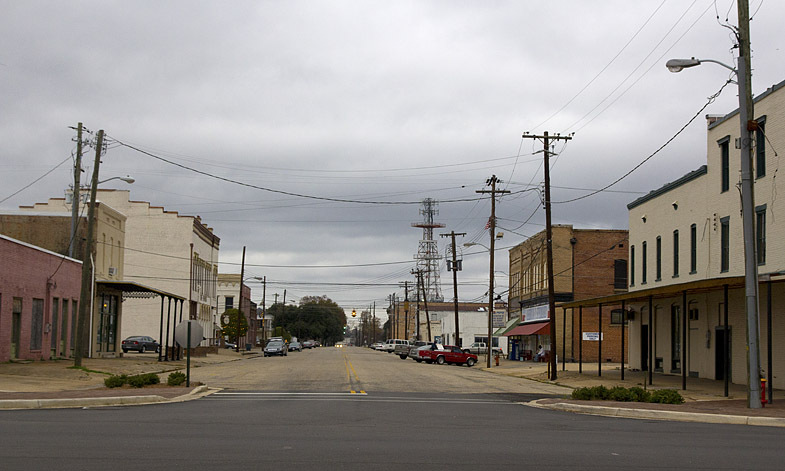 It’s Martin Luther King, Jr. Day, the perfect occasion for posting photos from my recent stop in Selma, AL. 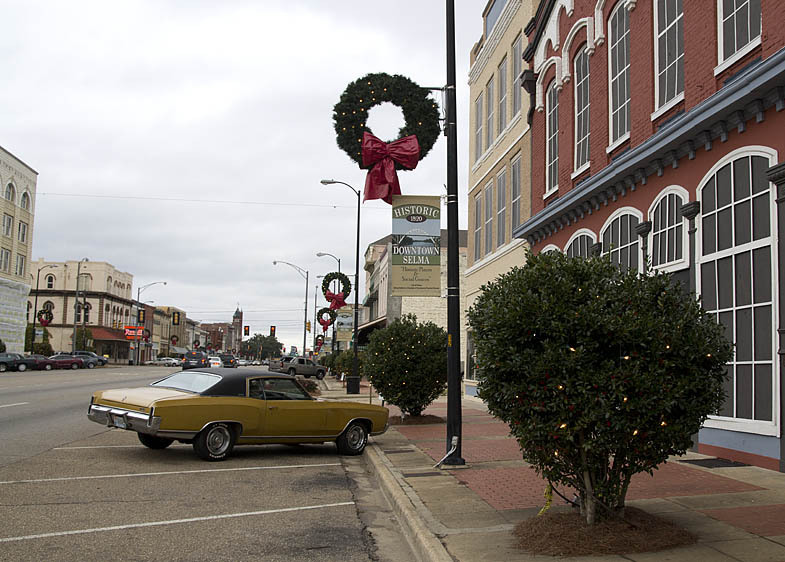 I arrived in Selma shortly before dusk on an overcast and dank December afternoon. I was en route to Florida and only had an hour to spare. 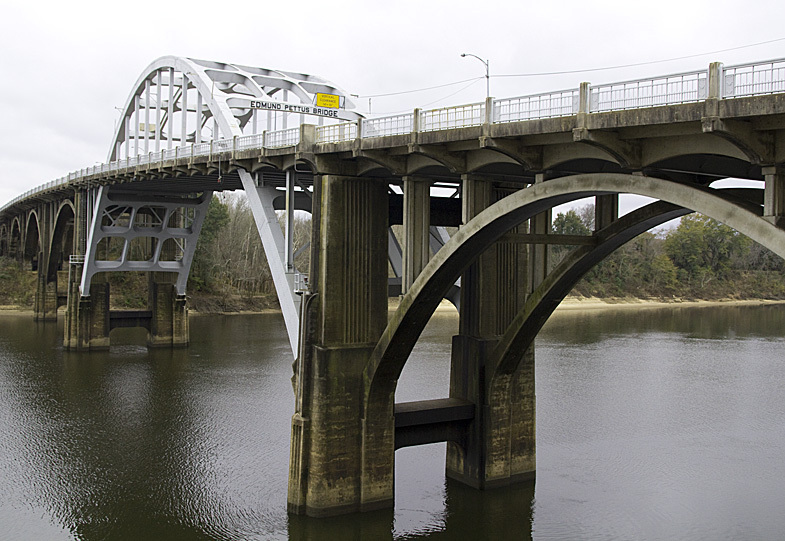 I devoted those 60 minutes to exploring the area around the Edmund Pettus Bridge, the starting point of the historic Selma-to-Montgomery Voting Rights March of 1965. 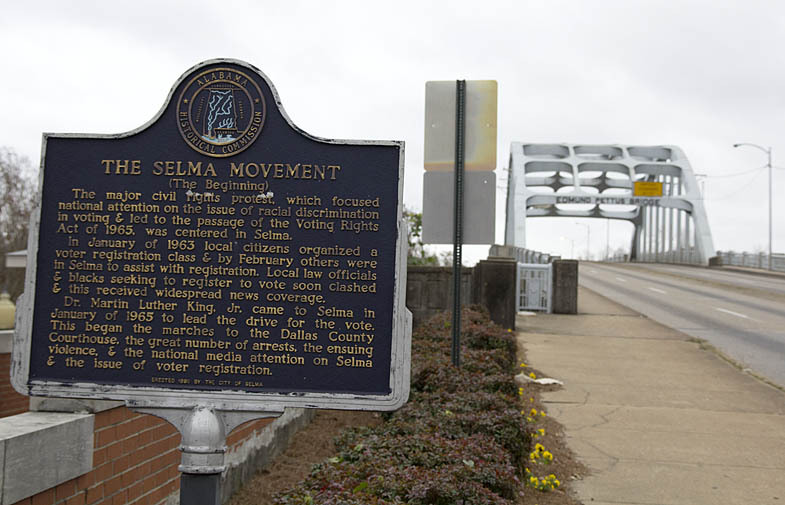 If you’re in the area, I highly recommend checking out the Selma Interpretive Center. 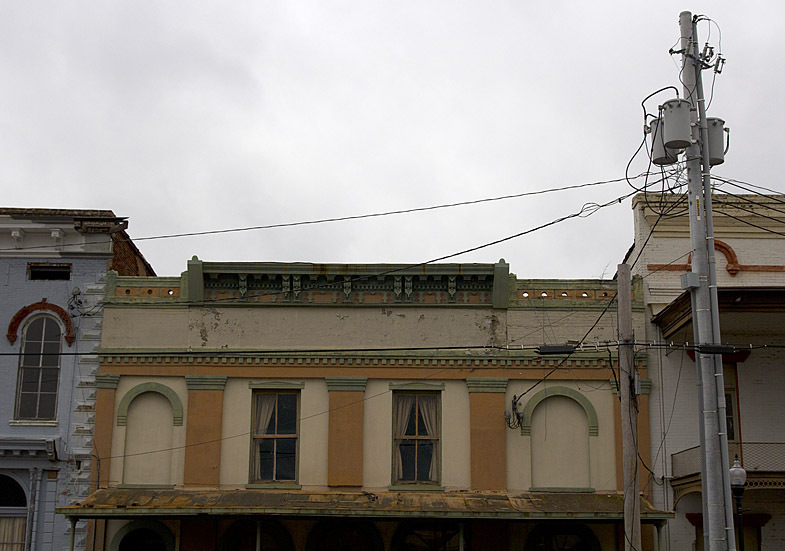 It’s undergoing major renovations, but even in its dusty-drywall state the center is worth a visit because of its exceptional resources and friendly staff of park rangers. 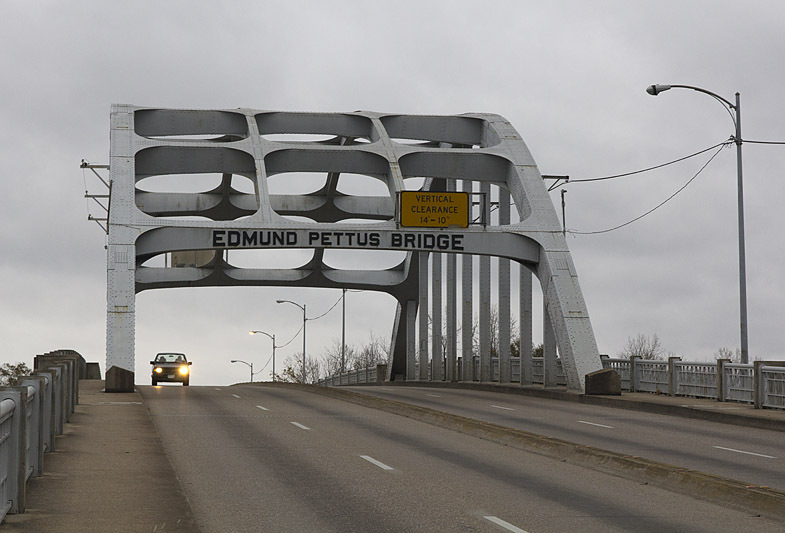 Ironic historical footnote: Edmund Pettus was a Confederate general.